The present invention relates to methods and products for use in optimising the qualitative attributes of a multichannel sound system. There is a disparity between the recommended location of loudspeakers for an audio reproduction system and the locations of loudspeakers that are practically possible in a given environment. Restrictions on loudspeaker placement in a domestic environment typically occur due to room shape and furniture arrangement. In an automotive environment, loudspeaker placement is usually determined by availability of space rather than optimised listening. Consequently, it may be desirable to modify signals from a pre-recorded media in order to improve on the staging and imaging characteristics of a system that has been configured incorrectly. There is an increasing number of audio formats employing a number of different channel configurations. Until recently, only one-channel and two-channel media were available to consumers. However, the introduction of distribution media such as DVD-Video, DVD-Audio, and Super-Audio CD has made multichannel audio commonplace in domestic and automotive systems. This has meant, in many cases that there is a mismatch between the number of loudspeakers in a listening environment and the number of channels in the media. For example, it frequently occurs that a listener has only two loudspeakers but 5 channels of audio on a medium. The converse case also exists where it is desirable to play two-channel program material distributed over more than two loudspeakers. Consequently algorithms are constantly being developed in order to adapt media from one format to another. Downmix algorithms reduce the number of audio channels and upmix algorithms increase the number. Standard recommendations for domestic and automotive sound reproduction systems state that all loudspeakers should not only be placed correctly but have matched characteristics (i.e. ITU-R BS-775). However, in typical situations, this ideal requirement is rarely met. For example, in a domestic environment, it is often the case that the built-in audio system of a television is used for the centre channel of a surround sound system. This speaker rarely matches the larger, exterior loudspeakers used for the front left and right channels. In addition, it is typical for the surround speakers to be smaller as well. Consequently, the audio signals produced by these different loudspeakers differ too much for a cohesive sound field to be created in the listening environment. Therefore, it is desirable that these differences be minimised in order to give the impression of matched loudspeaker characteristics. The tuning of high-end automotive audio systems is increasingly concentrating on the imaging characteristics and "sound staging." It is a challenge to achieve staging similar to that intended by the recording engineer (as is possible in a domestic situation) due to the locations of the various loudspeakers in the car. It is therefore desirable that an automatic method of choosing delay and gain parameters for the various loudspeaker drivers in an automotive environment be developed to provide a "starting point" for tuning of the car's playback system. Various systems and methods that can be used for downmixing a number of input signals (audio channels) to a reduced number of output audio signals are known in the art. Thus, international patent application WO 03/015471 A2 describes a device and method that can be used for downmixing such signals. More specifically said document relates to a device and method for simulation of one or more virtual sound sources in a virtual space based on sound emitted from a number of real sound sources (loudspeakers) that are located at positions in real space different from the perceived positions of the virtual sound sources. The device and method basically determine a subset of real loudspeakers that due to their position can be used for simulating a given virtual sound source by summing processed sound signals emitted from this subset of loudspeakers. A prerequisite for this determination and processing is that the listening position of a listener in real space be identified. A basic drawback of this and related methods is - as also mentioned in WO 03/015471 A2 - that the correct simulation of virtual sound sources can only be effected for a precise position of the listener. Hence, at other positions in real space the device and method cannot be assumed to yield the desired simulation and may even lead to degradations of perceived auditory spatial attributes. Furthermore, an apparatus and method that perform downmixing for instance from three input audio channels to two output audio channels are described in international patent application WO 2004/028204 A2 . The described apparatus comprises a number (n) of input terminals for receiving input signals from a suitable audio source, processing means for processing corresponding input signals, whereby each of the processing means provides a processed output signal and summing means for providing m output signals corresponding to each of the input signals. The processing means take account of location coordinate information and applies this information to choose appropriate head related transfer functions (HRTF's) from a source position in space to a listening position. On the above background it is an object of the present invention to provide a method and corresponding system for reduction of the number of audio channels, whereby multiple audio channels recorded on a suitable medium (for instance 5 channels in a surround sound recording) can be played back over a lesser number of loudspeakers (for instance 2 loudspeakers in a traditional stereophonic set-up). It is a further object of the present invention to provide a method and corresponding system for increasing the number of audio channels, whereby for instance 2 stereophonic audio channels can be played back over a larger number of loudspeakers (for instance over 5 loudspeakers as in a standard surround sound set-up). The two procedures outlined above are referred to as a Downmix algorithm/method/system and an Upmix algorithm/method/system, respectively, as mentioned initially. It is a specific object of the present invention to provide a method and corresponding systems by means of which the acoustic imaging characteristics and "sound staging" similar to or at least approximating that intended by the recording engineer can be achieved by the loudspeakers in a car or other confined environment. It is a further object of the present invention to provide a method and corresponding system, which enables an end user to control the apparent "width" or "surround" content of an audio presentation. In addition, by manipulating the locations of the virtual sound sources created by the method and system of the invention, the entire sound field can be rotated around the listener, or the virtual "sweet spot", i.e. the optimal listening position can be moved to any desired location. It is a still further object of the present invention to provide a method and corresponding system which can be used to simulate the differences in the frequency-dependent directivity patterns of the virtual loudspeakers (i.e. the imaginary loudspeakers simulated by the use of the method and system according to the invention) and the real loudspeakers, for instance the loudspeakers actually installed in the cabin of a vehicle. These and other objects are according to the invention attained by a method for individually controlling the outputs from a number of pre-located loudspeakers as to magnitude and time delay of signal components emitted from these loudspeakers by conversion of a set of input signals intended for a different number and configuration of virtual loudspeakers, according to which method the pre-located and virtual loudspeakers are placed in a vector space, and where each particular pre-located loudspeaker is supplied with a signal that is obtained as the linear sum of the input signals to the virtual loudspeakers, these signals being provided with individually determined magnitude and time delays, where the magnitudes and delays are calculated by using the vectorial distances between each of the virtual loudspeakers and the particular pre-located loudspeaker. The method and system according to the invention can be used as an algorithm for correction of loudspeaker placement, an n-to-m channel upmix algorithm or an n-tom channel downmix algorithm. Thus, according to the invention there is provided a method for converting a first number of signals to a second number of signals such as upmixing or downmixing n input signals to m output signals, where each of said output signals (o1, o2, o3, ... om) is obtained as the sum of processed signals (o11, o12 ....... onm), where each of said processed signals is obtained by processing corresponding input signals (i1, i2, ... in) in processing means having a transfer function Hij or an impulse response hij, where the transfer function may be a function of frequency. According to a specific embodiment of the invention, there is provided a method of the above kind for individually controlling output signals (o1, o2, o3, ... om), which are to be provided to a number of pre-located real sound sources by conversion of a set of input signals (i1, i2, ... in) intended for a different number and configuration of virtual sound sources, where the pre-located real sound sources and the virtual sound sources are located or represented in a vector space, and where each particular pre-located real sound source is provided with a signal (o1, o2, o3, ... om) that has a magnitude and time delay obtained as a linear sum of at least some of said input signals intended for the virtual sound sources, and the magnitudes and delays of the signal (o1, o2, o3, ... om) to be provided to a particular one of said real sound sources are calculated by using the vectorial distances between each of the virtual sound sources and the particular pre-located sound source. where d is the distance between the real and virtual loudspeakers, (Xv , Yv , Zv ) is the location of the virtual loudspeaker in a Cartesian coordinate system, and (Xr , Yr , Zr ) is the location of the real loudspeaker. All variables are assumed to be on the same scale. 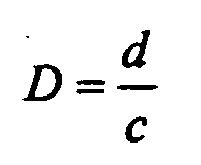 where D is the propagation delay to be simulated, d is the calculated distance between the virtual and real loudspeakers and c is the speed of sound in air. 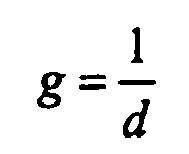 where g is gain applied to the signal simulating attenuation due to distance. Alternatively, the gain calculation could be based on sound power rather than sound pressure attenuation over distance. 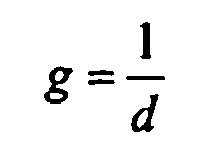 The above gain/attenuation g is independent on frequency, but it is also possible according to the invention to apply a frequency-dependent g-function, i.e. g(f). By applying g(f) for instance, frequency-dependent directional characteristics of the virtual sound sources may be accounted for, and it is furthermore possible to introduce perceptual effects of the open ear transfer function of the human ear, this function being generally a function of both frequency and angle of sound incidence from the virtual sound source to the position of the listener. An illustrative example will be given in the detailed description of the invention. In this generalised case (both relating to directional characteristics of the virtual sound sources and to the incorporation of HRTF's), the function g will depend on both direction of sound incidence from a given sound source to the listening position, this direction being denoted by the vector R, and on the frequency, i.e. g as mentioned above will be replaced by (R, f). (c) m summing means for providing m output signals (o1, o2, o3, ... om); where each of said summing means can be provided with processed output signals (o11, o12 ......onm) corresponding to each of said input signals (i1, i2, ... in). According to a specific embodiment of the apparatus according to the invention each of said processing means (H11, H12 .......Hnm) comprise delay means or gain means, or both delay means and gain means, whereby each of said processed output signals (o11, o12, o13, ... onm) will be a delayed version of the corresponding input signal or an amplified or attenuated version of the corresponding input signal or a delayed and amplified or attenuated version of the corresponding input signal. (h) summing means for adding the processed signals corresponding to each virtual loudspeaker to obtain a signal to a D/A converter, whereby an output signal (o1, o2, ..... om) for each of said pre-located loudspeakers is provided. If the input source provides digital output signals, the series of A/D converter means mentioned under item (b) above can of course be omitted. Furthermore, if "digital" loudspeakers with digital amplifiers (for instance class-D amplifiers) are used, the D/A converter mentioned under item (h) above can also be omitted. The present invention furthermore relates to the use of the inventive method and apparatus for supplying a set of automotive loudspeakers with signals corresponding to a home entertainment environment. The method and apparatus according to the invention can for instance be used in domestic sound reproduction systems and automotive sound reproduction systems. The methods can give listeners the impression that loudspeakers are correctly placed in configurations where this is not the case. The methods can be used as a matrix that translates any desired number of channels in the distribution or playback media (i.e. 2-, 5.1-, 7.1-, 10.2-channels etc...) to any number of loudspeakers. The methods can be used to minimise the apparent differences between loudspeakers in domestic, automotive sound systems or for sound reproduction systems in yachts. The methods can be used to produce a suggested tuning of delay and gain parameters for instance for domestic sound systems, automotive audio systems or for sound reproduction systems in yachts. The present invention will be more fully understood with reference to the following detailed description of embodiments of the invention and with reference to the figures. Figure 1. Example of a standard loudspeaker configuration. This particular example is for a 5-channel system following the ITU-BS.775 recommendation. Figure 2. Example showing the relationship between the desired loudspeaker locations (shown in dotted lines) and the actual location of one loudspeaker (solid lines) in a listening environment. Figure 3. Example showing the relationship between the two desired loudspeaker locations (shown in dotted lines) and the actual location of five loudspeakers (solid lines) in a listening environment. Figure 4. Example of the calculation of the distances between the desired locations of the loudspeakers and the location of the real loudspeaker. Figure 5. Example implementation of the algorithm required to generate an output for the real loudspeaker shown in Figure 4 using the calculated distances d1 through d5. The vertical line indicates a mixing bus where all signals arriving from the left are added and sent to the output on the right. Figure 6. A generalised diagrammatic representation of the apparatus according to the invention for converting n input channels to m output channels. Figure 7. An embodiment of a system according to the invention used to create a two-channel downmix from a five-channel source. Figure 8. A schematic block diagram showing the signal processing required to implement the system illustrated in figure 7. Figure 9. An embodiment of the system according to the invention used as an upmix algorithm in an automotive audio system. Figure 10. A schematic representation of an implementation of a system in a car using the method and apparatus according to the present invention. Figure 11. A schematic representation of a system according to the invention comprising functions representing the differences between two head-related transfer functions. The proposed system can be used as an n-to-m channel upmix algorithm or an n-tom channel downmix algorithm, i.e. as an algorithm for correction of loudspeaker placement. The methods can furthermore be used as a matrix that translates any desired number of channels in the distribution or playback media (i.e. 2-, 5.1-, 7.1-, 10.2-channels etc...) to any number of loudspeakers. The method and apparatus according to the invention can be regarded as a method/apparatus for reproducing a given number (n) of virtual sound sources (loudspeakers) by means of a different number (m) of actual physical sound sources (loudspeakers). Thus, for instance the standard loudspeaker configuration shown in figure 1, i.e. a 5-channel system following the ITU-BS.775 recommendation can be simulated using the method and apparatus according to the invention. In this case, the five actual loudspeakers indicated by reference numerals 1 through 5 in figure 1 are regarded as corresponding virtual loudspeakers 1' through 5' as shown in figures 2, 4, 7, 9 and 10 (shown in dotted lines in figure 2), and these virtual loudspeakers are replaced by a different number of actual physical loudspeakers, of which only one is shown in figure 2 indicated by reference numeral 6. If the number of actual loudspeakers is less than the number of virtual loudspeakers, a downmix procedure is performed. An upmix procedure could consist of a replacement of two virtual loudspeakers 12 and 13 being replaced by five actual loudspeakers 7, 8, 9, 10 and 11 as shown in figure 3.
where g is the gain applied to the signal simulating attenuation due to distance. An apparatus corresponding to the situation shown in figure 4 is shown in figure 5, where the signals on each of the 5 separate input channels 14, 15, 16, 17 and 18 are subjected to individually determined delays 19, 20, 21, 22 and 23 and corresponding gains 24, 25, 26, 27 and 28 determined by the above equations. The thus processed input signals are summed as indicated by 29, whereby the output signal 30 for the real loudspeaker 6 (figure 4) is obtained. With reference to figure 6 there is shown a generalised diagrammatic representation of the apparatus according to the invention for converting n input channels to m output channels. A multi channel source, for instance a CD or DVD player 31 is providing n output signals corresponding to n channels of audio as input signals (i1, i2, ... in) to a block of processing means, in the implementation shown in figure 6 comprising a total of n x m processing means 33, which may be defined by transfer functions (H11, H12 .......Hnm) or corresponding impulse responses h(ij). According to a specific embodiment of the invention, the processing means 33 comprises delay means 34 and gain means 35. From each of the processing means, processed output signals (o11, o12, o13, ... onm) are provided and these output signals are provided to a total of m summing means 36, one for each output channel, i.e. real loudspeaker, for providing m output signals 37, where the first of said summing means 36 is provided with processed output signals (o11, o21 .......on1) corresponding to each of said input signals (i1, i2, ... in), etc. With reference to figures 7 and 8 there is shown an embodiment of a system according to the invention used to create a two-channel downmix from a five-channel source. The real loudspeakers 39 and 39' are placed in "incorrect" locations in a listening room. The virtual loudspeakers 1', 2', 3', 4' and 5' are each positioned in the appropriate locations in a virtual space near the real loudspeakers. Individual distances between the virtual loudspeakers and the real loudspeakers are calculated in two or three dimensions. For example, 40 is the distance between the virtual left loudspeaker 1' and the real left loudspeaker 39. 41 is the distance between the virtual left loudspeaker 1' and the real right loudspeaker 39'. These two distances are used to determine the delay and gain of the signal from the left input channel to the left and right output channels sent to the real loudspeakers. Each input channel is assigned an appropriately calculated delay and gain for each output channel and these modified inputs are summed and sent to each loudspeaker. Referring to figure 8 there is shown a schematic block diagram showing the signal processing required to implement the system illustrated in figure 7. Each delay and gain is individually calculated according to the distance relationship between the virtual loudspeakers associated with each input channel and the real loudspeakers associated with the output channels. A five-channel signal source 31 comprising five channels 32 (Left Front, Centre Front, Right Front, Left Surround and Right Surround) delivers input signals to the corresponding delay and gain means 34, 35 and the output signals from these are summed as described above in summing busses 36, whereby the required two output signals 37 for the real loudspeakers 39 and 39' are provided. Referring to figure 9 there is shown an embodiment of the system according to the invention used as an upmix algorithm in an automotive audio system. The real loudspeakers are indicated in solid lines (42 - front left tweeter, 48 - front left woofer, 47 - back left full-range, 43 - front right tweeter, 44 - front right woofer, 45 - back right full-range, 46 - subwoofer). The virtual loudspeakers are shown in dotted lines indicated by reference numerals 1', 2', 3', 4' and 5'. Each individual distance from a given virtual loudspeaker to a real loudspeaker is calculated and shown as an example for one real loudspeaker 42 as indicated by 53, 49, 50, 51' and 52, respectively. These distances are calculated for all virtual loudspeaker - to - real loudspeaker pairs. With reference to figure 10 there is shown a schematic representation of an implementation of a system in a car using the method and apparatus according to the present invention. The figure shows a car 54 provided with left and right loudspeakers 55, 56 for instance mounted in the left and right front doors of the car. The car is provided with a five-channel playback device 59 for playback of five-channel surround sound recorded on a suitable medium 58 such as a CD or DVD. The five output channels from the playback device 59 delivers five input signals to a downmix apparatus 60 according to the invention, and the two output channels from this apparatus are fed to the left and right loudspeakers 55 and 56, respectively. The downmix apparatus in this implementation thus provides a downmix from the five channels of audio delivered by the playback device 60 to the two real loudspeakers 55 and 56. By this process, the signals corresponding to the five virtual loudspeakers 1', 2', 3', 4' and 5' are provided. In order to program the apparatus, X, Y, Z coordinates 63, 64 of the real loudspeakers 55, 56 and X, Y, Z coordinates I, II, III, IV, V of the virtual loudspeakers 1', 2', 3', 4', 5' are entered by means of a suitable user interface, for instance by the touch screen device 61 schematically shown in figure 10. Many other interfaces are possible in a practical set-up. The coordinates of the real and/or virtual loudspeakers may be stored in storage means 68, thus facilitating reprogramming of the apparatus for instance if changes of the actual set-up of loudspeakers are made. The total system as shown in figure 10 may furthermore comprise storage means 65 for storing directional characteristics of the various real and/or virtual loudspeakers and storage means 66 for storing head-related transfer functions HRTF if such functions are to be incorporated into the method and apparatus according to the invention. Also a user-operated width control 67 (or rotation-control as mentioned in the summary of the invention) may be provided for the purpose described below. It is understood that further or alternative user interfaces may be provided without departing from the present invention. where it is assumed that the head-related transfer functions from the virtual loudspeakers 4' and 5' to the listener 71 are identical, which in principle will be true in this case, as the set-up is symmetrical with respect to the median plane through the listener 71 indicated by 72 in figure 11. As mentioned above in connection with figure 10, a "width control" may be incorporated in the method/apparatus according to the invention. Thus, there exists the possibility of using the proposed method/apparatus to permit an end user to control the apparent "width" or "surround" content of an audio presentation. This can be accomplished by altering the locations of the virtual loudspeakers using a controller 67 (figure 10) presented to the end user. Increasing the "surround" or "width" amount, could, for example, increase the angle subtended by the virtual loudspeaker and a centre line. Decreasing the "width" amount would collapse the angles such that all virtual loudspeakers would be co-located with the front centre virtual loudspeaker. Also a rotation-effect of the sound field can be accomplished as mentioned previously. characterised in that the pre-located real sound sources and the virtual sound sources are represented in a vector space, and in that each particular pre-located real sound source is supplied with a signal (o1, o2, o3, ... om) that is obtained as a linear sum of at least some of said input signals intended for said virtual sound sources, these signals being provided with individually determined magnitudes and delays, where the magnitudes and delays are calculated by using the vectorial distances between each of the virtual sound sources and the particular pre-located real sound source. A method according to claim 1, where said processing in said processing means comprises providing the corresponding input signals (i1, i2, ... in) with individually determined delays (Di) or individually determined gain/attenuations (gi), or both individually determined delays (Di) and individually determined gain/attenuations (gi). where c is the speed of sound in air. A method according to any of the preceding claims 1-3, where the individual gain/attenuations gi or transfer functions Hij are functions gi(f), Hij(f) of frequency (f). A method according to claim 1 or 4, characterised in that the gain/attenuations and time delays are weighted according to the polar distribution of energy of each of the virtual sources, whereby the directional characteristics of the corresponding virtual sound sources can be simulated. A method according to claim 5, characterised in that the polar distribution of energy is a pre-defined standard function applied essentially uniformly to all virtual sound sources. A method according to any of the preceding claims, where the individual functions gi, gi(f) and Di can be varied in order to change the perceived width of the sound image produced by the real sound sources or to rotate this image, when these sound sources are provided with the output signals (o1, o2, o3, ... om) obtained by application of the method of any of the preceding claims. or the equivalent impulse responses. where said gains and/or delays are determined based on location coordinate information for each of a set of pre-located loudspeakers and for each of a set of virtual loudspeakers, such that said gains and delays are calculated by using the vectorial distances between each of the virtual sound sources and the particular pre-located real sound source. (g) summing means for adding the processed signals corresponding to each virtual loudspeaker to obtain an output signal (o1, o1, o1, ... om) for each of said pre-located loudspeaker is provided. (b) summing means for adding the processed signals corresponding to each virtual loudspeaker to obtain a signal to a D/A converter; whereby an output signal (o1, o1, o1, ... om) for each of said pre-located loudspeaker is provided. The use of a method according to any of the preceding claims 1 to 8 for providing a set of automotive loudspeakers or loudspeakers in a yacht with signals corresponding to a home entertainment environment. The use of an apparatus according to any of the preceding claims 9 to 11 for providing a set of automotive loudspeakers or loudspeakers in a yacht with signals corresponding to a home entertainment environment. ITTO20120067A1 (en) * 2012-01-26 2013-07-27 Inst Rundfunktechnik Gmbh Method and apparatus for conversion of a multi-channel audio signal into a two-channel audio signal.